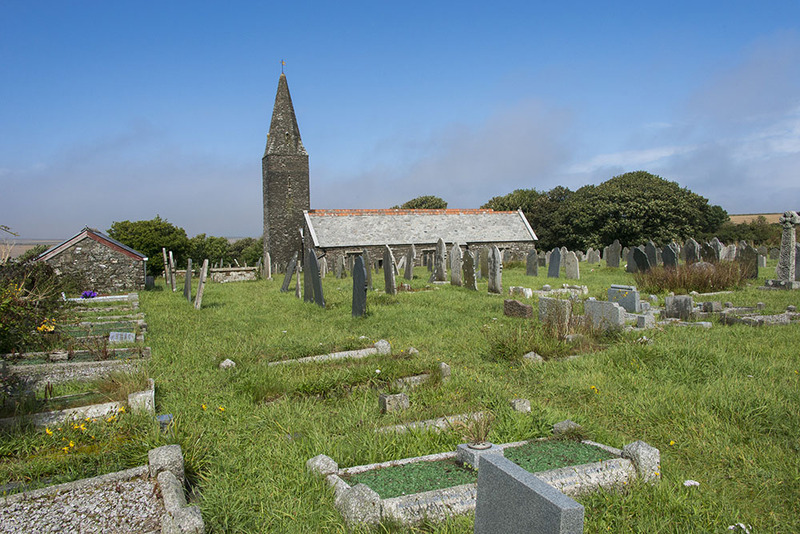 Sited close to Rame Head in SE Cornwall, where one of Cornwall’s best preserved medieval chapels can be seen; the original meaning of the name Rame is unclear. Earl Ordulf, owner of vast estates in the West Country and Uncle to King Ethelred gave Rame to Tavistock Abbey in AD 981. In the 11th Century the Abbey was obliged to find fifteen knights for the King’s service and one was maintained by settling Rame upon him. Over the centuries the manor passed to the Dawneys, the Durnfords and finally the Edgcumbes. The Church is dedicated to St. German, the fighting German Bishop who is supposed to have landed nearby when he came to England to suppress the Pelagian Heresy in AD 400. From the carved tympanum (a semi circular door head) mounted in one wall, we know there was an earlier Norman church which pre-dates the present building, which was enlarged and rebuilt in the 13th Century. It was re-dedicated by Bishop Walter de Bronescombe on October 15th 1259. The slender unbuttressed tower with its broached spire (an unusual feature in a Cornish church), the north wall, windows and the chancel are all probably of this date. Transepts were probably added by about 1320, with the south aisle replacing the south transept about 200 years later. Aisles were used for parish processions before services on Sundays and Feast days. 150 years later there was a larger reconstruction with a new south aisle and arcade. 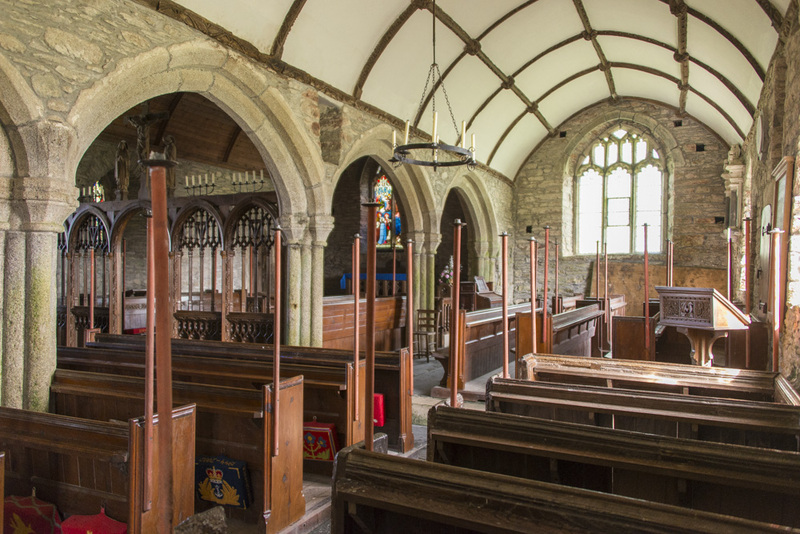 The south aisle wagon roof is original and some pews survive from the 16th Century, with Devon-style tracery on the surviving pew ends. There were restorations in 1848 and 1886. The unfinished screen, the curious broom-stick candle holders, the hand pumped organ and the removal of the plaster from the walls date from the incumbency of Canon Robert Ekins, 1900 – 1939. The church has no modern utilities such as electricity, gas or water and is still lit by candles during services. Now a part of the Parish of Maker with Rame, this guide is produced by the Parochial Church Council.